Prices 0.1 percent higher than in May, May 2017; Inflation in June 2017 is 0.9 percent. 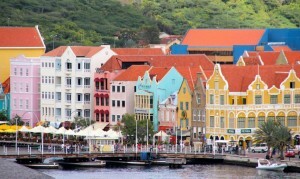 WILLEMSTAD - The consumer price index (CPI) of Curacao increased by 0.1 percent in June 2017, from 125.0 in May to 125.1 in June. The consumer price trend over the past month (June 2017) was mainly affected by the 3 percent price increase on gasoline and the 2 percent reduction in the diesel price. The CPI of June 2017 (125.1) is 1.5 percent higher than the CPI of June 2016, when a CPI of 123.2 was measured. This figure (+ 1.5%) indicates that the consumer price level was 1.5 percent higher during the month of June 2017 than during the month of June 2016. Measured over the period from twelve months to June 2017, compared with the same period a year earlier, prices rose by 0.9 percent on average. Inflation in Curacao is thus 0.9 percent in June 2017. Since the inflation rate (0.9%) is an indication of the rise in living costs, it is recommended as an indexing tool for salary, retirement, social benefits and other incomes. in the period from December 2016, with initially zero inflation and then a slight gradual rising inflation.